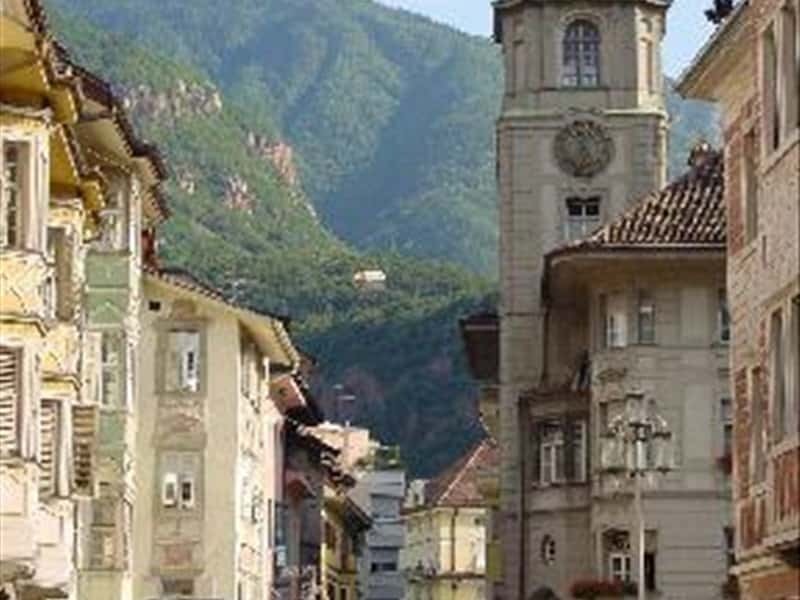 Chief town of the province Alto Adige/South Tyrol, surrounded by the Dolomites, the most beautiful mountains of the world, Bolzano has always been an important trade centre and a meeting point between north and south. In the Archaeological Museum it is possible to admire the Similaun Ice Man, also known with the name of Ötzi, discovered in 1991 together with his equipment. The discovery, the campaigns of excavations, the clinical examinations are described in detail with the help of panels, images and movies. The Cathedral, dedicated to Santa Maria Assunta, in Romanesque-Gothic style is interesting too; the 65 metre high (approx. 200 feet) bell tower with its towering sandstone open-work spire is the work of the Swabian sculptor Hans Lutz von Schussenried (1501 - 1519). The Dominician Church, in Gothic style, with its cloister, dates back to 1270; the chapel of St. John, the chapel of St. Catherine and the cloister are of great artistic importance due to the rich and splendid frescoes of the Gothic School of Padova (first half of the XIV century). Finally Bolzano is surrounded by many castles: Firmiano castle, which houses the Mountain Messner Museum, Roncolo castle, also called the illustrated fortress due to its XIV century frescoes, Mareccio castle, located in the historic centre, Flavon castle and the ruins of Rafenstein castle. This town web page has been visited 112,802 times.